A glorious selection of dishes that all celebrate the unique sharp and aromatic burst of lemons and limes. From fresh seafood to luxurious pasta and heavenly desserts—these citrus fruits can make your food sing. A squeeze of lemon can bring a dull sauce or lacklustre soup to life as its tartness cuts through and brings out flavor in a subtler (and healthier) way than salt. Smaller, sharper but more intensely fragrant than lemons, limes work with exotic, spicy flavors. Some dishes call for the sharp lift of lemon, at other times the richer fragrance of lime is more appropriate. They are both perfect as an antidote to the heat of fresh chile or pungent garlic, the best friend of herbs and olive oil, roasting meat, and freshly grilled seafood. Their brightness is also perfect in sweet, buttery desserts. Try Small Bites such as Lemon, Mushroom and Tarragon Arancini or Salmon and Kaffir Lime Fishcakes. Make the most delicious Soups and Salads with a Summer Grain Salad or Pork Dumplings in Lime-leaf Broth. Fish and Seafood offers delights like Grilled Lemon Seabass with Roasted Bell Pepper and Basil Butter. Meat and Poultry is full of hearty yet summery dishes like Spiced Roasted Chicken with Chickpeas, Carrots and Preserved Lemon. In Vegetables and Sides find Oven Baked Lemon Fennel or Lime and Chile Sweet Potatoes. In the Sweets and Drinks chapter try a Gin and Tonic Cake or a Mint and Lime Granita. Lastly, in the Sauces and Preserves section learn how to make your own Preserved Lemons and Limes, Hollandaise Sauce, and Lime Pickle. 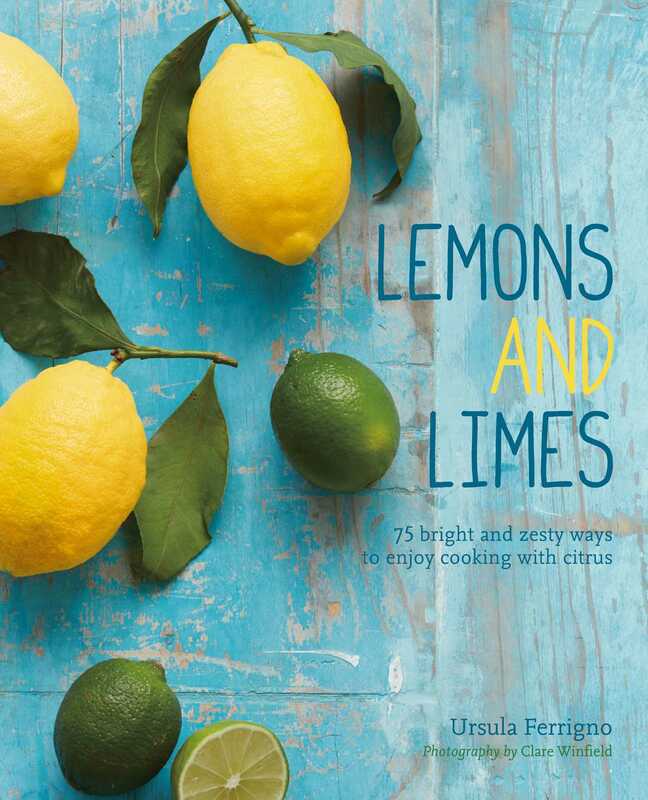 Essays also investigate the history and culture of lemons and limes, their health benefits, and how to grow your own.